I’ve been spending the last week or so trying to get off the struggle bus after attending a conference. It looks like fighting off jet lag and exhaustion to get some emails done for potential business opportunities. Truth be told, it’s not pretty, but it needs to be done. It can be tempting to slack when you’ve just been traveling for work, but you need to strike while the iron is hot. Here are some of the ways you can kill it in business after attending a conference (even though you really just want to go back to bed). Start working while still at the conference. You may be busy while attending a conference, but that doesn’t mean you should leave all that work you need to get done for when you get home. I was fortunate enough to have my virtual assistant attend the conference this year and assist me while I was there. She was organizing business cards, sending out emails and keeping me on top of my to-do list. By the time I got on the plane to go back home, I knew exactly what I needed to do. I also knew I had already delegated a lot of things to her. Even if you don’t have an assistant attending a conference with you, you can still sneak away and get some work done while you’re there. This makes the mountain of work you have to do when you get back home seem a little less daunting. Start working on the plane. I had a seven-hour trek back home (and I got lucky because I avoided weather delays all over the country). If I’m going to be on a plane for hours I’m busting out my laptop and getting some work done. In my case recently, I didn’t have the energy to do client work after attending a conference because I was exhausted. I could, however, write a blog post for my own site about my experience at the conference. It’s easy to come back home after attending a conference and feel like you have a five-page long to-do list. You’re probably filled with ideas after attending sessions and have a bunch of opportunities on the table thanks to networking. This can all seem extremely overwhelming as you try to get back in the groove. That’s why I usually start small. Really small. Like writing emails and then handing them off to my assistant to send. If there’s only one thing you can manage to get done the week after attending a conference make sure it’s following up with people. There’s a reason people say “The fortune is in the follow-up.” It’s because it’s true. Don’t be afraid to touch base with people you met and definitely don’t hesitate to get it done as soon as possible. You can also take it a step further by making sure you add a photo, a website address, and social media handles so people can remember who you are. It also wouldn’t hurt to make mention of what you talked about when you met. 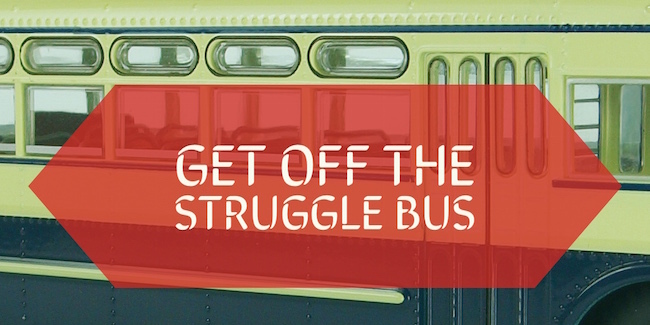 You might be driving the struggle bus after getting home from attending a conference, but the reality is this is an opportune time to grow your business. Use these tips to help you take back control and grow your business.